Set the tone for outstanding customer experiences from the very first point of engagement. 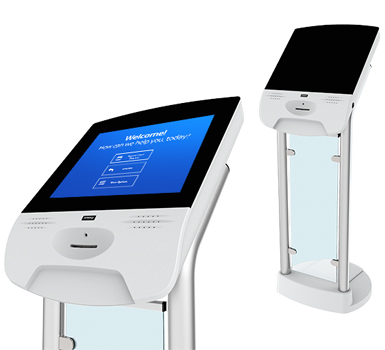 Qmatic Self-check-in Kiosks are the ultimately way to greet your customers. It’s a simple way for them to check in for appointments, find out where to go, what to do and how long the wait is going to be. 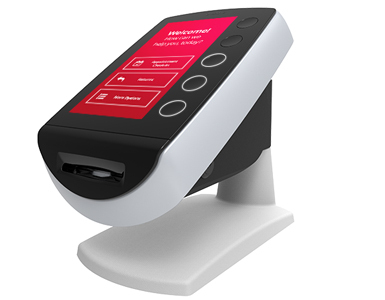 The self-check-in kiosk presents customers with a Genuine Qmatic Ticket that shows their place in the queue. 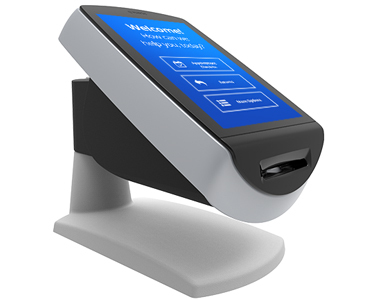 Apart from the queuing number, the ticket can also have a custom message on the back, presenting you with an opportunity to place brand messages, offers, directions or any other useful information directly in your customers’ hands.